Started GREAT! Then it sank into clichés. At first the film feels exactly like Star Trek as Kirk and Bones run from an indigenous species while Spock, Uhura and Sulu race to stop a volcano from erupting which would result in the destruction of an entire race of sentient life. The crew prevails and inadvertently becomes the young races new idol of worship when they view the Enterprise flying into space. This was really great Star Trek at its finest; adventure, exploration and new aliens! Unfortunately the film decided to forgo those things for the rest of the film to create a metaphor for terrorism. Much like Iron Man 3 the terrorist metaphor the film portrayed was that those we perceive as ‘good’ or on our side are the ones actually creating terrorists. 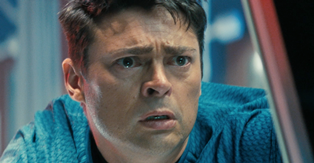 In the film the head of Star Fleet has brought the super villain Khan back from cryo-sleep specifically to build weapons to militarize Star Fleet against the rising threat of the Klingon Empire. First and foremost…Star Fleet is already militarized! They have ranks, and all of their ships are outfitted with weapons! Secondly the Klingon Empire is a real threat in Star Trek lore. They certainly don’t waste any time in trying to kill Uhura when she tries to reason with them. Third I LOVE Peter Weller, I was so happy to see him in the film! Unfortunately he is made into a war mongering villain who the audience can feel little to no sympathy for. On the other hand Khan is made into something of an anti-hero. This just doesn’t feel right…you don’t bring a villain like Khan into a Star Trek film and then make him play second fiddle to another villain for the majority of the film. Now onto a quick side note; how many films post-the Dark Knight are going to do the ‘villain is in a holding cell but is really in control scene’? Skyfall just copied this a few months before and now it gets done again. The Joker was a great villain but it seems like Hollywood is now obsessed with the cerebral villain who gets captured only to further his plans. Also the title of the film is very misleading…at no point does the Enterprise really go INTO DARKNESS. They spend the majority of the film dealing with humans and Earth politics. I was just expecting a bit of oh I don’t know…exploration? Back to Star Trek! Once again the majority of the cast was a joy and Karl Urban reallyyy stood out as Dr. McCoy but didn’t seem to get very much screen time. The old Star Trek films were about Kirk primarily but they usually centered on the friendship of Kirk, Bones, and Spock fairly equally and entertainingly. The other cast members all had their great moments too of course but that was the core team in Star Trek! J.J. Abrams doesn’t seem to get that. He seems to like Spock far more than any other character. Hence why in Star Trek: Into Darkness Khan is made into Spock’s nemesis instead of Kirks…Abrams even gives the epic KHANNNN moment to Spock. When you create a film that heavily draws from another film (in this case the film draws heavily from Wrath of Khan) you have to walk a fine line between being true to the source and being original. All Abrams did was reverse what happened to what character near the climax of the film. Also there were some issues with the time line Abrams painted. At the end of 2009’s Star Trek I assumed the crew of the Enterprise was going on the five year journey and that this film would take place after that with the opening of the film being their last adventure on their five year mission and their return to Earth. Instead this film takes place soon after the first Star Trek and Kirk is still not trusted as a Captain even though he saved the entire planet Earth in the first film. You’d think he’d have earned a bit of credit with Star Fleet. There is also the issue of how Khan is found or how the Tribble came aboard the Enterprise when both of those interactions first occur on the five year journey. 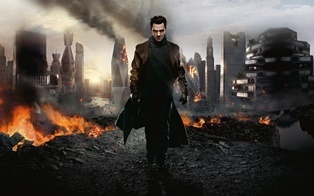 If that hasn’t happened yet when did Khan get found by Star Fleet and when did the Enterprise run into some Tribbles? My last two pet peeves are directed at the special effects crew and the casting director. First why did Khan design a ship that looked nearly identical to the U.S.S. Enterprise? It was really rather boring to watch two similar ships face off near the end of the film. I mean the great thing about Klingons is that the Bird-of-Prey looks completely different from any federation vessel and that makes for a rather interesting contrast during fights on screen. Even the Federation ship Khan took in Wrath was of a different design than the Enterprise. Lastly as web-star/ young Slayer Felicia Day pointed out on Twitter, why were all the heads of Star Fleet white males? In every other iteration of Star Trek Star Fleet is a multi-racial, multi-gendered organization and in nearly every other Grand Science Fiction Story, the senate or Jedi Council in Star Wars or the Council in Mass Effect, the diversity among species and genders is astronomically interesting. The original Star Trek gave people an interesting glimpse of a future that seemed possible and represented the best of what mankind could achieve with technology and science but Star Trek: Into Darkness is too grounded in today to ever serve as great Speculative Science Fiction. Hopefully Abrams will do a better job with the new Star Wars. 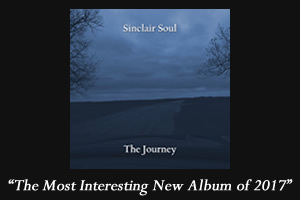 Good review J.D. Apart from being a fun, sci-fi, action adventure film, the movie has a surprising amount of layers to it, which got me when I least expected it to.